This fine handcrafted Matthew Martin 400 Series Tactical Click Pen features carbon fiber and construction with a zirconium tip piece. 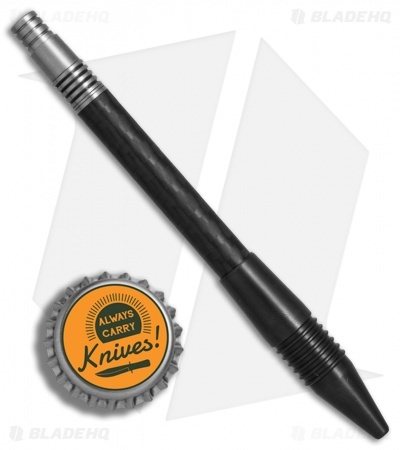 This well-balanced pen activates with a titanium click cap. Comes with a Fisher Space Pen ink cartridge, but also accepts Parker refills.